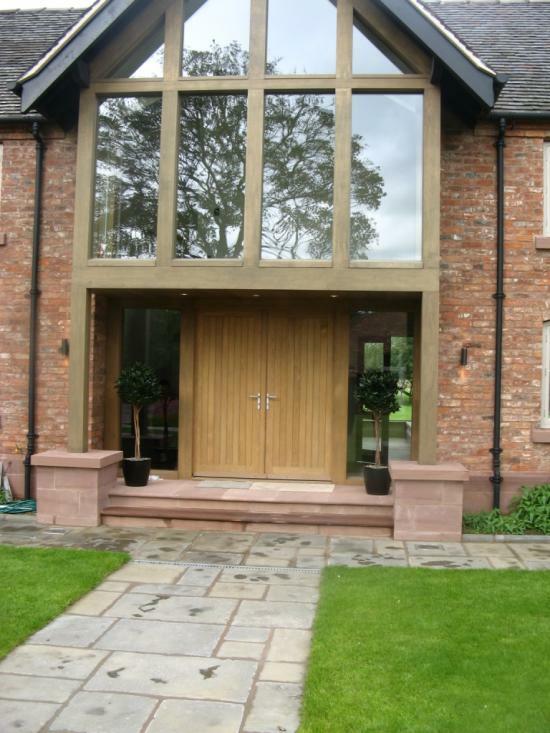 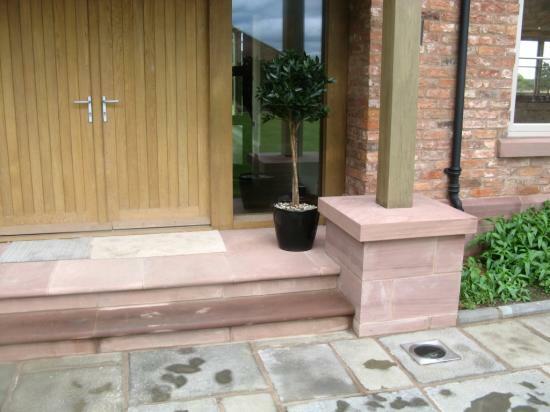 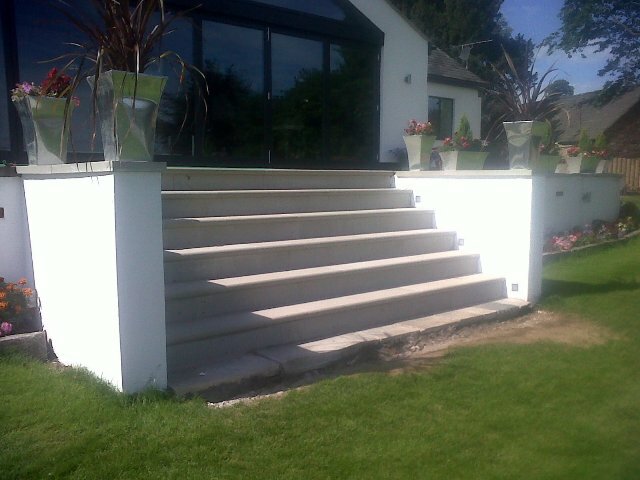 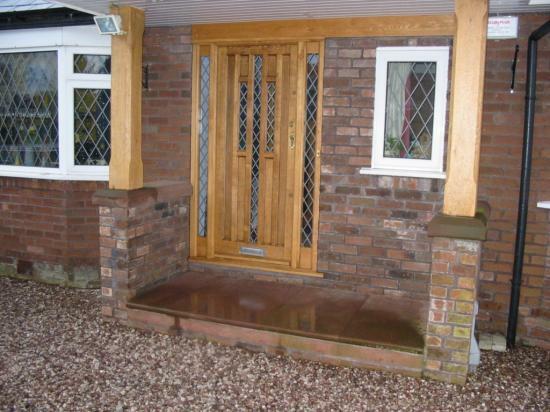 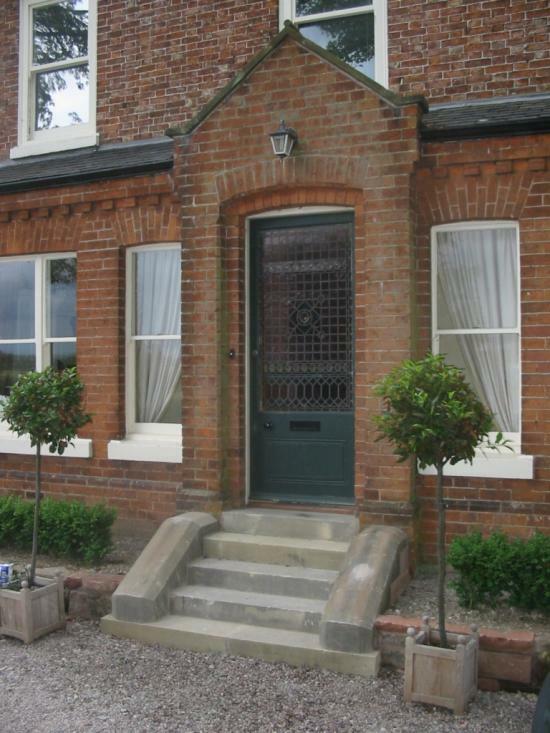 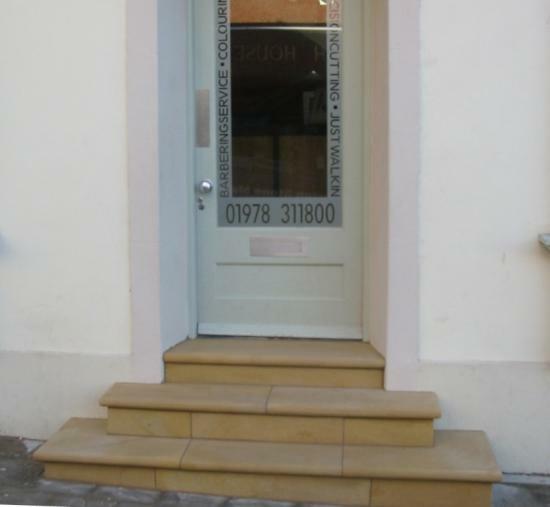 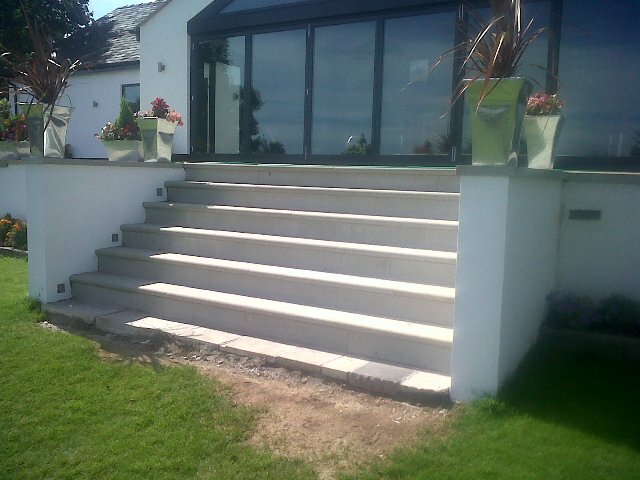 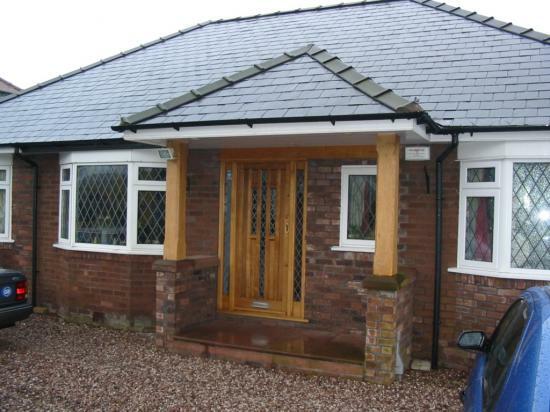 Stone steps are a brilliant way to enhance the look of any kind of property. 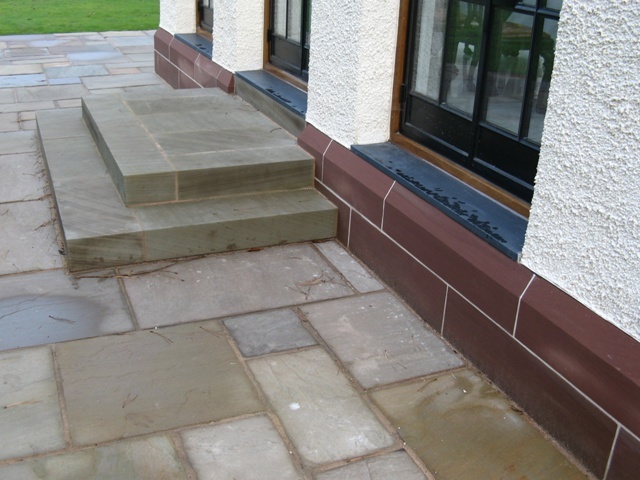 Their tough, hard wearing nature makes them an extremely practical choice. 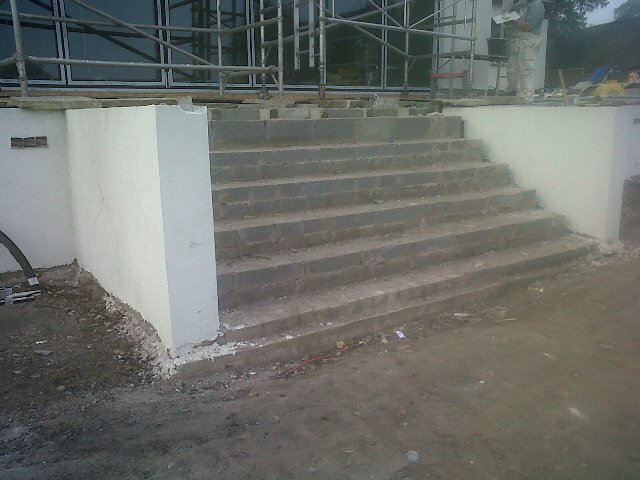 But at the same time there is absolutely no compromise on appearance. 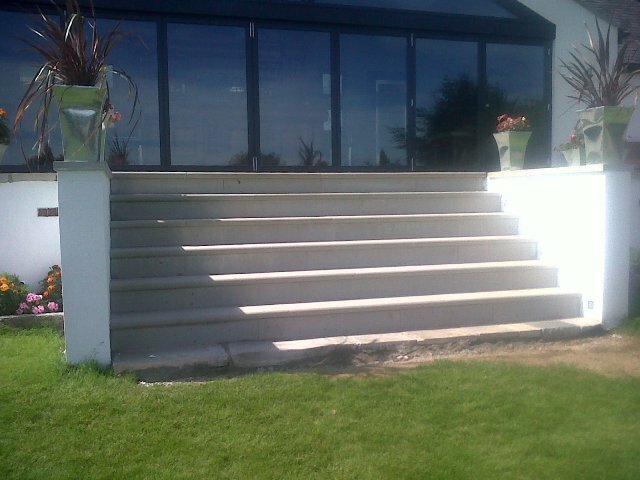 They can be made from a selection of natural stones that offer not only exceptional durability but a fantastic aesthetic appeal and timeless elegance too. 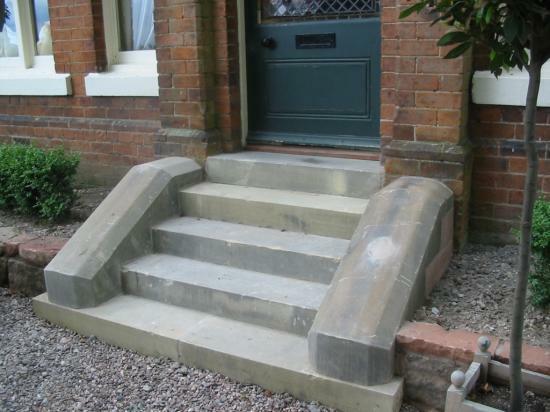 Our stone masons can make stone steps to any style and size you desire. 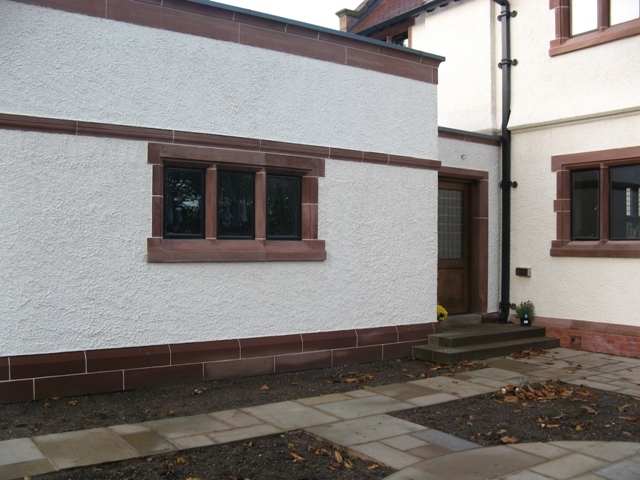 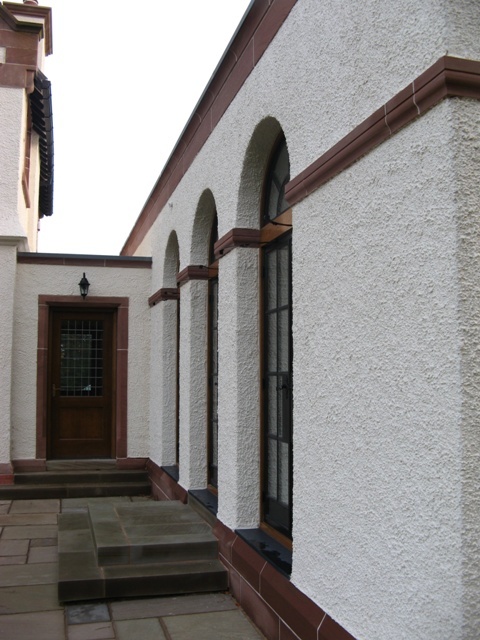 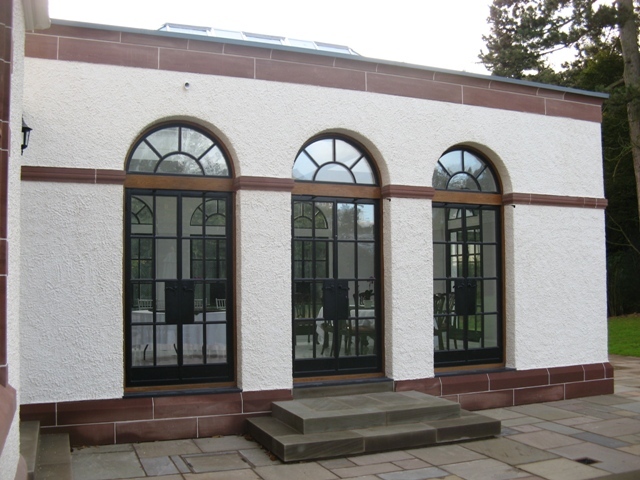 If you need a precise match with stonework already in place, we’ll carefully copy existing details accordingly and use traditional hand tooling techniques where appropriate. 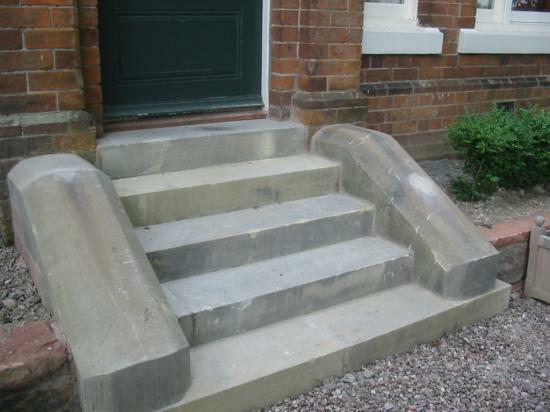 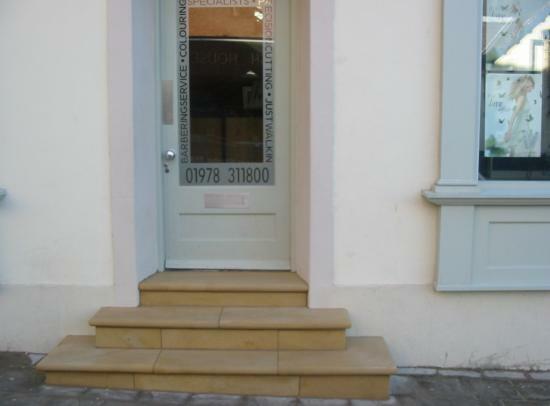 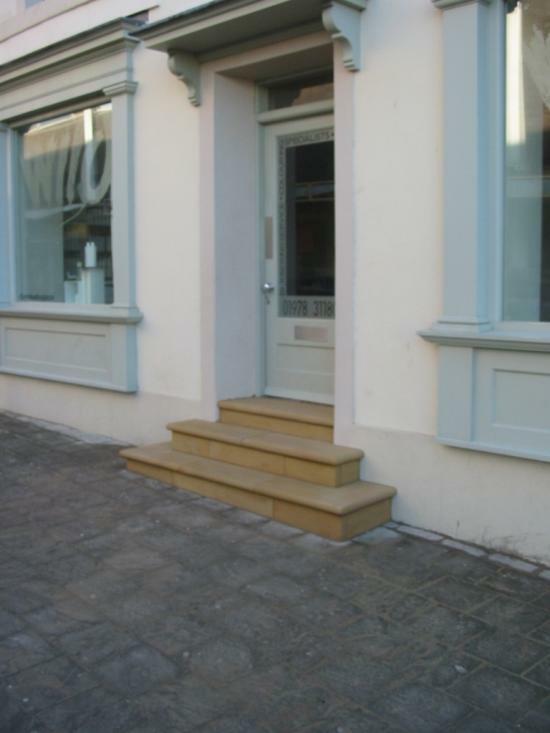 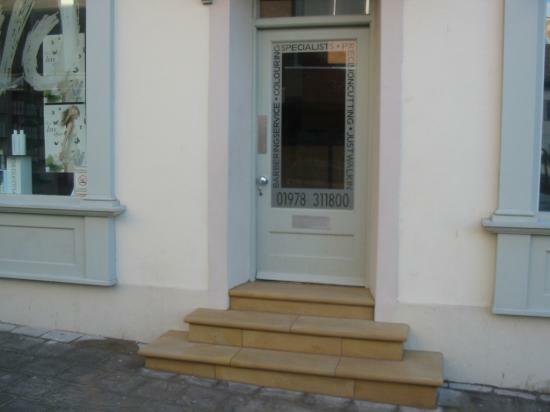 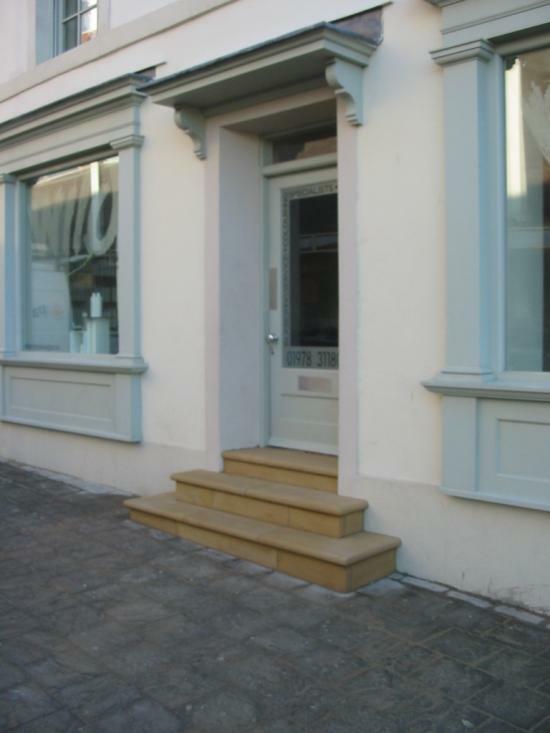 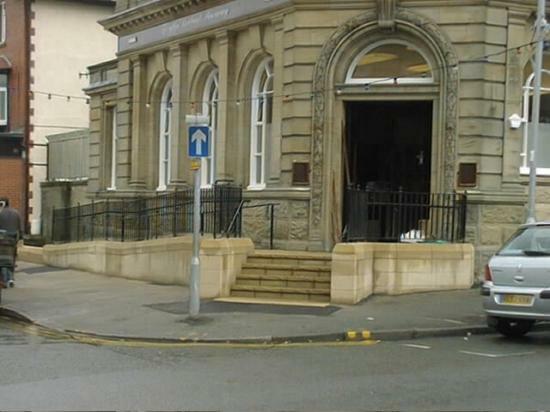 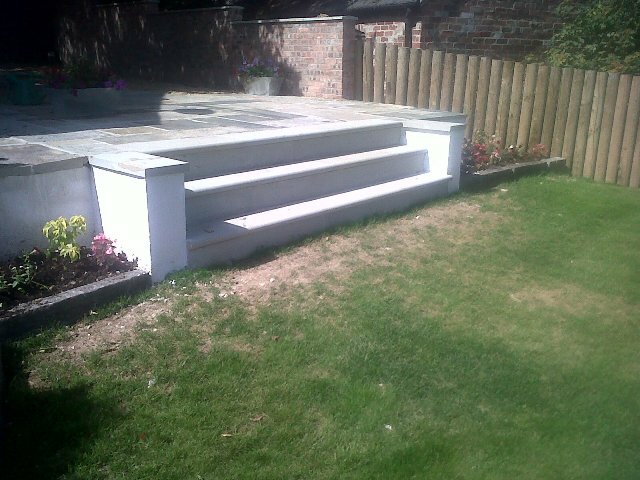 We can make steps for both the interior as well as the exterior of buildings and craft solid stone step units or treads and risers as required. 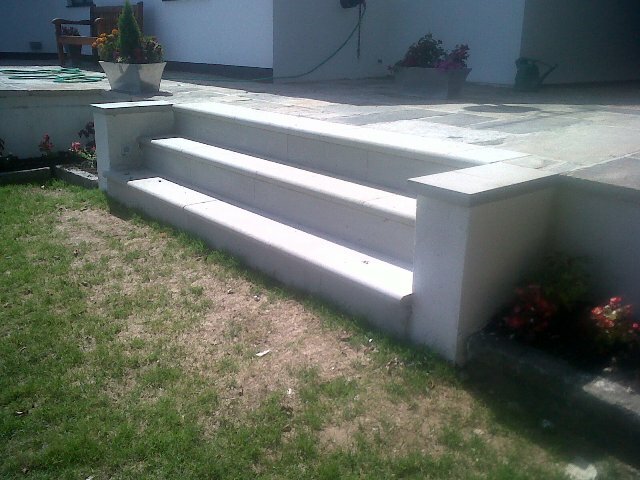 We can also create a variety of step shapes including curved, corner and elliptical steps. 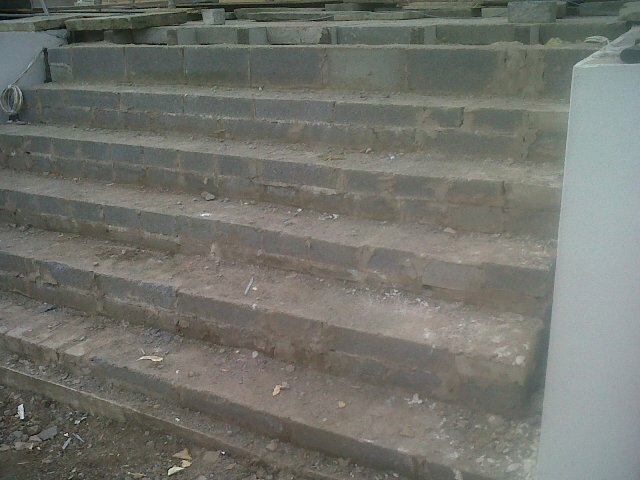 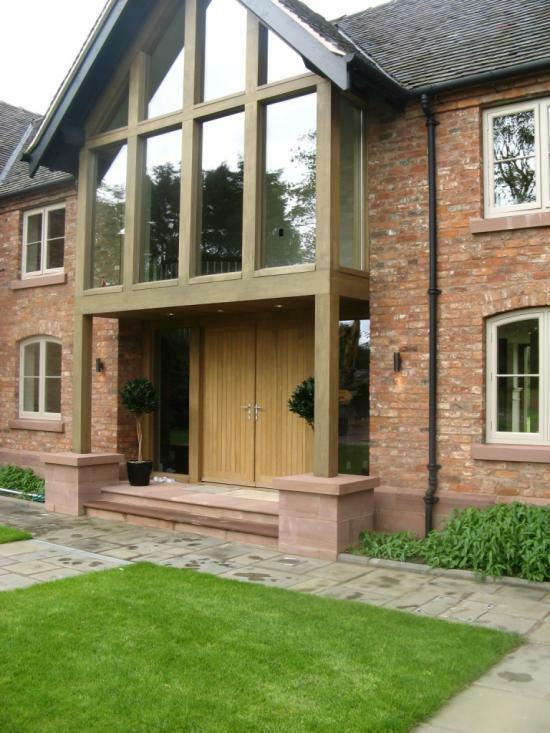 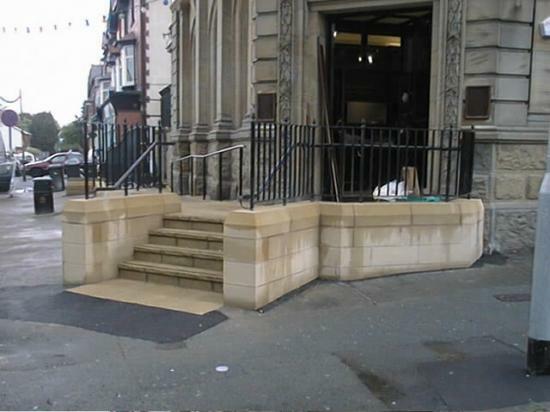 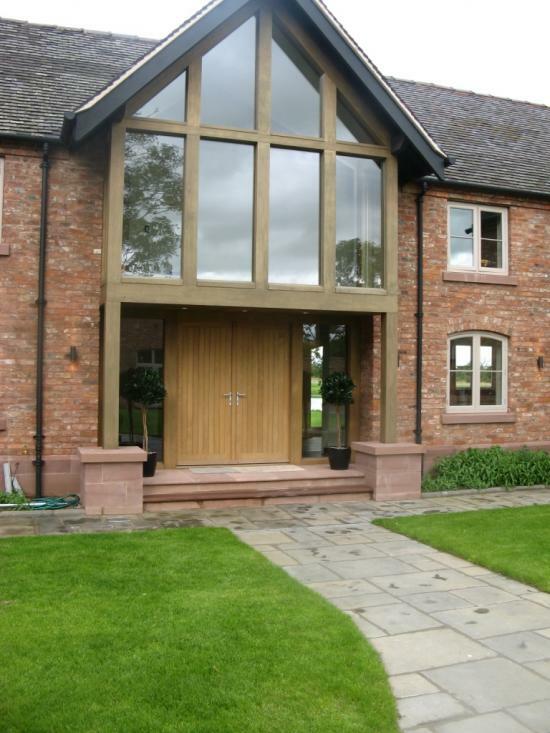 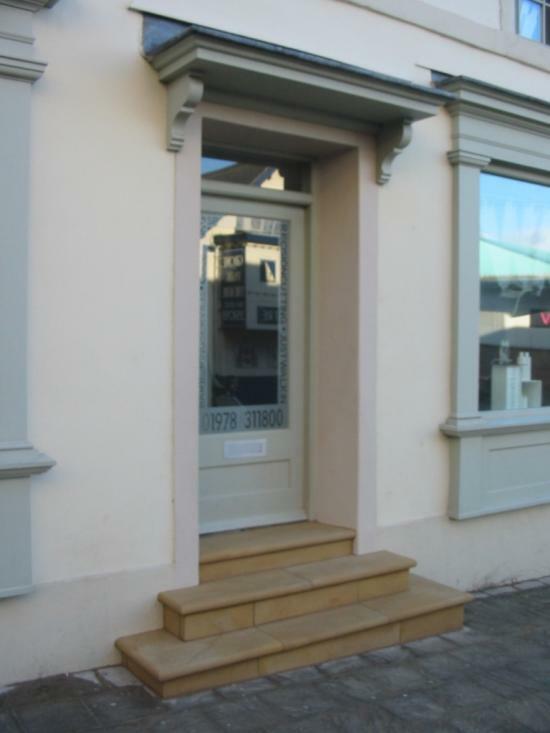 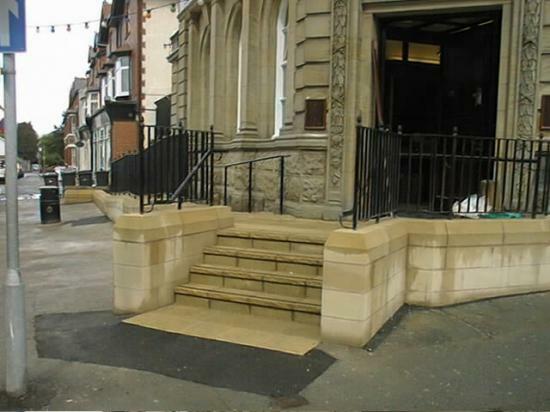 We’ve created stone steps for a whole range of property types including new builds and business premises. 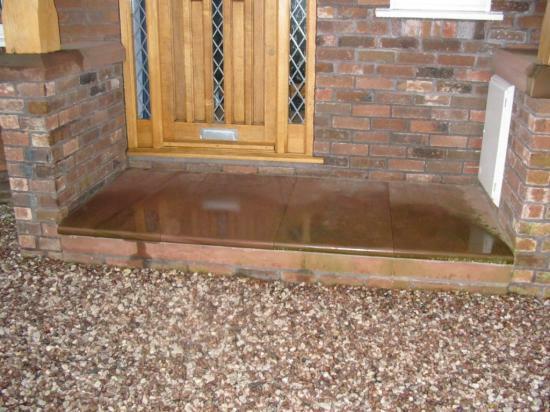 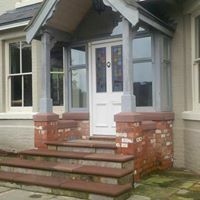 Please see below for photos of some of the steps we have made for our customers’ properties in and around the Chester, Wrexham and Flintshire areas as well as further away across Denbighshire, Cheshire and the Wirral. 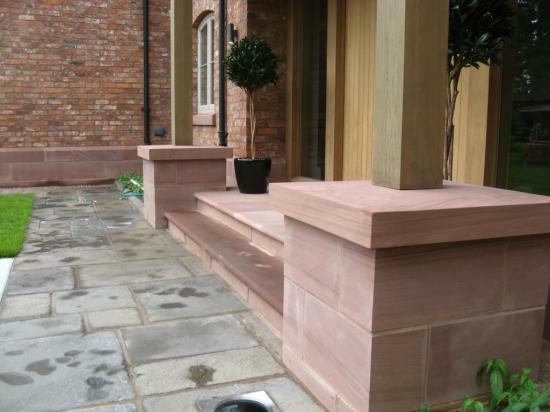 Whether you need a single step or a large staircase, our stone steps will add style and provide a dramatic focal point to your property or outside area. 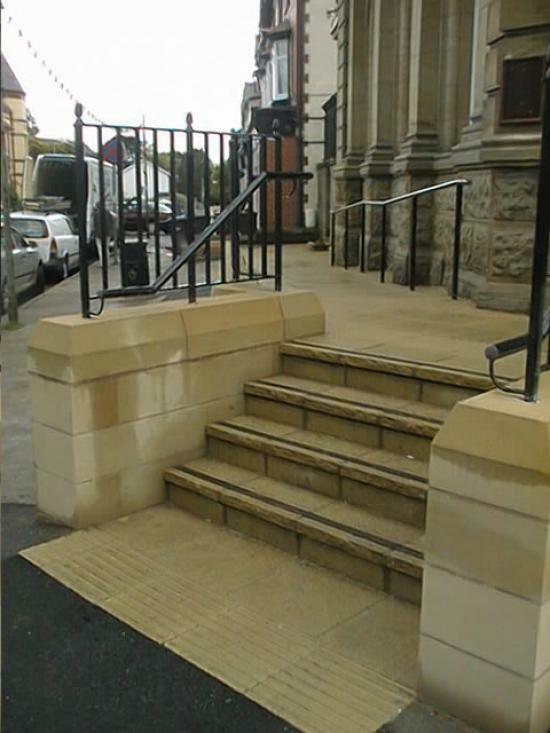 Do feel free to get in touch with us for more information or if you have any questions please give John a ring on Wrexham (01978) 664006 or email mail@jbstone.co.uk.